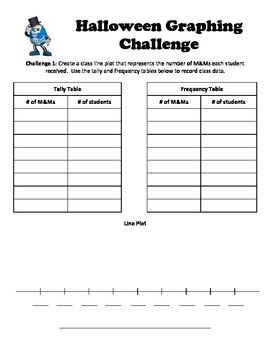 Use M&M data to create a frequency table, tally table, line plot, pictograph, and bar graph. 1. 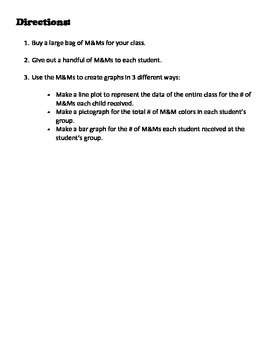 Use whole class data for the number of M&Ms each student received to make a line plot. 2. 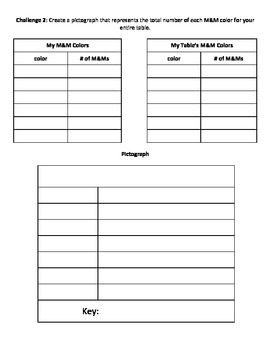 Use small group or table data to create a pictograph for the total number of each M&M. 3. 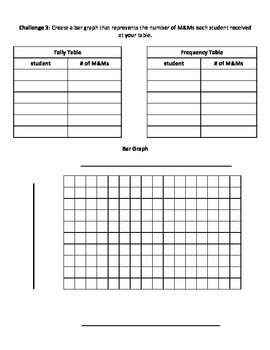 Use small group or table data to create a bar graph that represents the number of M&Ms each student received.